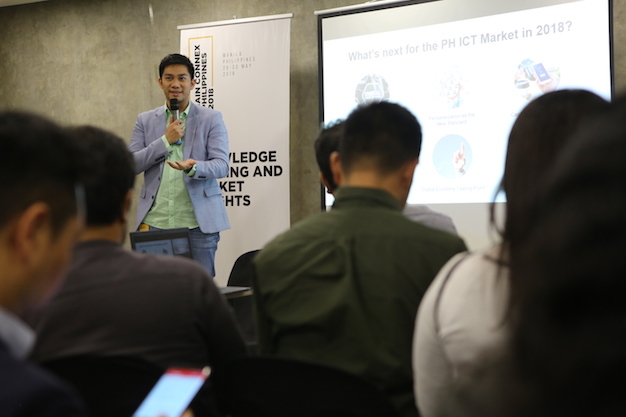 To regain the Philippines’ digital competitiveness in the global arena, businesses must adapt and become more agile by leveraging existing tools and technologies available to grow their business further, a local technology executive remarked recently. Citing recent reports about the sharp decline of the Philippines in the 2018 World Digital Competitiveness (WDC) ranking published by the International Institute for Management Development, Dindo Marzan, the managing director of Voyager Innovations’ marketing technology arm hatch, said consumers are already on board the digital train, but businesses aren’t as quick to harness this wave for their enterprises. “As more Filipinos gain an appreciation of the benefits of going online, it is essential for businesses – big and small – to utilize various digital platforms to enable them to participate in the growing New Economy,” Marzan said at the recently held 2018 Malaysian Digital Economy Corp. Global Acceleration and Innovation Network Connex. According to the report, the Philippines slid in the rankings largely due to massive drops in adaptive attitudes (from 50th to 60th) and business agility (from 23rd to 31st) – facets which could easily be addressed if firms take a transformative approach to running their businesses. According to Marzan, digital platforms are already available in the market to enable businesses of all scales to improve their service and expand their reach. 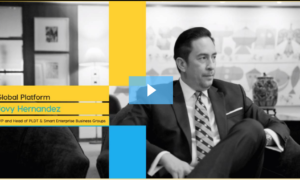 Given this, businesses no longer have to build their own platforms from the ground up, a time consuming and costly feat, and instead focus on growing their market. Voyager Innovations, the digital innovations arm of PLDT and Smart, has been at the forefront of making digital platforms available to businesses – from small and medium enterprises like online gadget store Kimstore, eCommerce sites such as Lazada, to big companies like Philippine Airlines. With Voyager’s platforms, any enterprise can build their own online store, accept cashless payments both online and offline, and avail of loans through partner financial institutions anytime, anywhere to expand its business. But building a digital ecosystem goes beyond enterprises taking their businesses online. For an emerging market such as the Philippines, it is equally as important to enable consumers to participate in the digital economy. An example given by Marzan is Voyager’s free internet and rewards platform, freenet™. freenet™ easily connects brands to consumers online by enabling its users to access the apps and sites of freenet’s partner brands, free of data charge. With freenet™, consumers who are unable to afford mobile data are now able to shop online at Lazada, order meals online at McDonald’s delivery site, send money to their loved ones via PayMaya, and many more. “Like other emerging markets, there are relevant platforms in more progressive countries that may not necessarily work for Filipinos. The key is to use or create solutions that will not only engage Filipino consumers, but make will also improve their way of living,” Marzan explained. Another digital transformation trend that is unique to emerging markets is the sachet digital technologies, Marzan said. From shampoos to pre-mixed coffees – single-use purchase products are often preferred as these are more affordable. FINTQ, the financial technology arm of Voyager, has used this principle to propagate digital and financial inclusion in the country. With FINTQ, Filipinos can now avail of insurance online, for as low as P50 per day, allowing the unbanked and underserved to gain access to financial products that are otherwise beyond their means. Together with FINTQ, PayMaya, a key player in digital payments, is also pushing for financial inclusion. 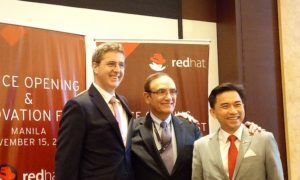 The company has been working to empower Filipinos to participate in the digital economy by building cashless communities. With these cashless communities, consumers are able to make fast, easy, and safe cashless transactions online, even without a credit card, and businesses are equipped to accept these cashless payments using platforms created by PayMaya. 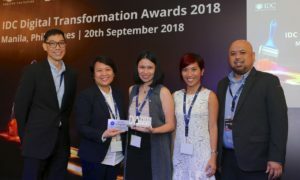 “With the synergies among digital enablers, businesses, and the government, the Philippines comes a few steps closer into building a digital ecosystem – one where consumers are able to fully take advantage of digital platforms including e-commerce, digital financial services, and other digital tools that will bring ease and convenience into their everyday lives, and where enterprises are able to provide services to their consumers online,” said Marzan.